18 Jan 2019 --- Danish-headquartered bioscience company Chr. Hansen has reported solid organic revenue growth of 10 percent in the first three months of the financial year 2018/19. It corresponds to 6 percent reported growth due to adverse currency impacts. Health & Nutrition (17 percent), Food Cultures & Enzymes (10 percent) and Natural Colors (6 percent), all reported growth. EBIT before special items increased by 9 percent to €71 million, corresponding to an EBIT margin before special items of 26.3 percent, which was up 0.9 percent-point compared to last year. The overall outlook for 2018/19 remains unchanged. EBIT margin before special items in Q1 increased by 0.9 percent-point and was driven by improved margins in Health & Nutrition and Natural Colors. The EBIT margin in Food Cultures & Enzymes was positively impacted by a strong development in gross margin, and ended on par with last year, as the company continued to invest in their growth and innovation priorities. Chr. Hansen has a current turnover of €1.1 billion with 7 percent of this being reinvested back into R&D. 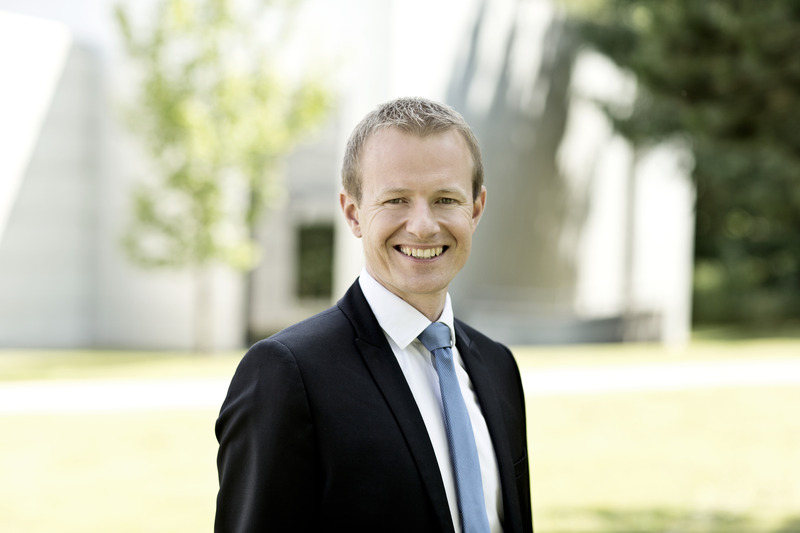 Click to EnlargeSøren Westh Lonning, Chief Financial Officer at Chr. 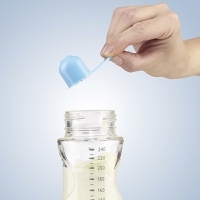 Hansen“The strong performance in Health & Nutrition was driven by probiotics for infant formula globally and in particular in Asia, as well as strong demand for biological plant health solutions in Latin America,” Søren Westh Lonning, Chief Financial Officer at Chr. Hansen tells NutritionInsight. “In Natural Colors we saw a strong pick-up in growth in North America driven by the conversion from synthetic to natural colors with some important customers. We expect continued strong performance in these segments in the remainder of the year,” he adds. “We continue to expect a positive contribution from further scalability benefits, as we ramp up utilization of the new capacity in our facility in Copenhagen,” says Graber. “Our pipeline of products to be launched this year, from all three business areas, looks very promising and will support the growth potential of Chr. Hansen,” he adds. Lonning is confident on the outlook of the ingredients space at the beginning of 2019, where clean label is still thriving. “Overall we have a positive outlook for the ingredients space, and in particular for specialty ingredients suppliers that, similar to Chr. Hansen, can support their customers in delivering solutions that are both natural, healthy and tasty and thereby addressing what consumers are demanding today,” he says. But it is a complex current geopolitical environment, where Brexit is in disarray and a trade war is brewing between China and the US. “We note that the geopolitical and macroeconomic uncertainty clearly has increased over the last 12 months. However, we also believe that Chr. Hansen is well positioned to weather the storm. We offer high value adding solutions which are critical for our customers, and we have previously demonstrated that our offering and business model is quite resilient in challenging environments,” Lonning adds. So far the impact felt by Chr. Hansen in the current environment has been minimal. “That being said, I remain rather pessimistic regarding seeing material improvements in the near term,” he notes. In a recent interview with The World of Food Ingredients, Chr. Hansen CEO, Mauricio Graber, noted organic growth through innovation and regional expansion as central to the company’s continued advance. The company’s Cultures & Enzymes business, which features more than 30,000 microbial strains, is particularly thriving amid new market dynamics. “Chr. Hansen built a very good business through their knowledge of lactic acid bacteria,” says Graber. “But when I look at what we have with one of the largest commercial libraries of good bacteria, we haven’t explored more than 20 percent of our good bacteria bank. The more we start to look at these strains, the more we can find incredible things that we can do with microbes,” he stated.